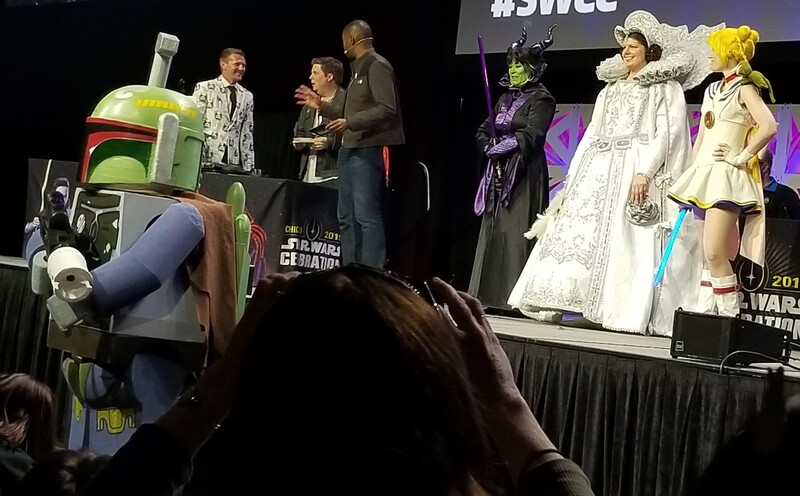 Saturday for most people kicked off with the Galaxy’s Edge panel, but I went with the Droids and Animatronic Creatures panel instead, which was pretty cool. 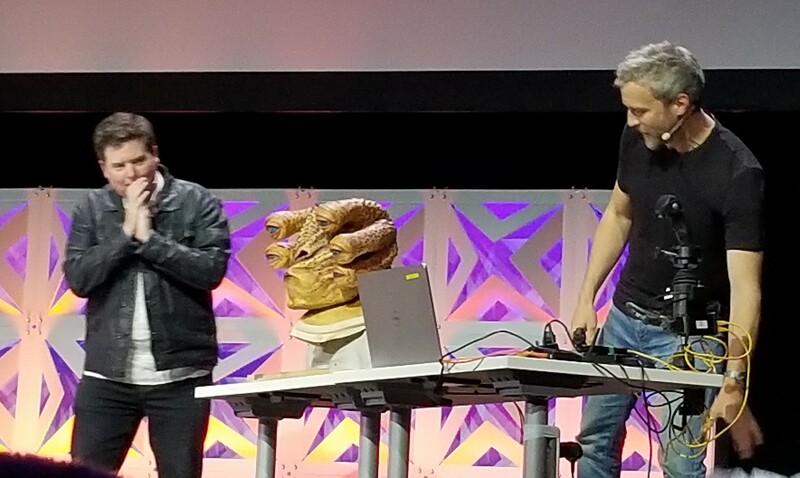 They showed how the technology for the new films has evolved from The Force Awakens to what they’re currently doing now. 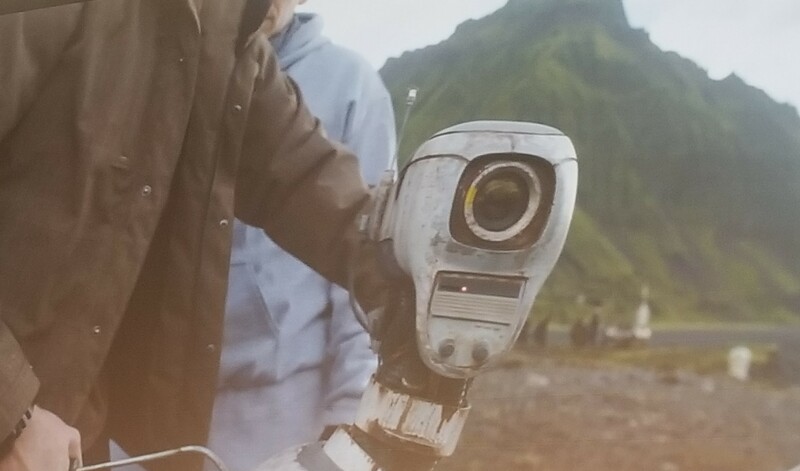 For instance, in Solo they utilized a kinetic technology that triggers all kinds of animated animatronic features in the creatures without relying on a puppeteer. The head for the six-eyed alien in Solo‘s sabacc scene used this technology so just looking down, left or right would cause all of the eyes to move in that direction. They would also blink and twitch on their own to make the whole thing appear more life like. A puppeteer could override the motions as needed to pull off certain scenes. Here’s a picture showing how big the Galaxy Stage room was. I had a pretty good seat for the animatronic panel. Here they are showing off the motion controlled animatronic technology in its early stages. 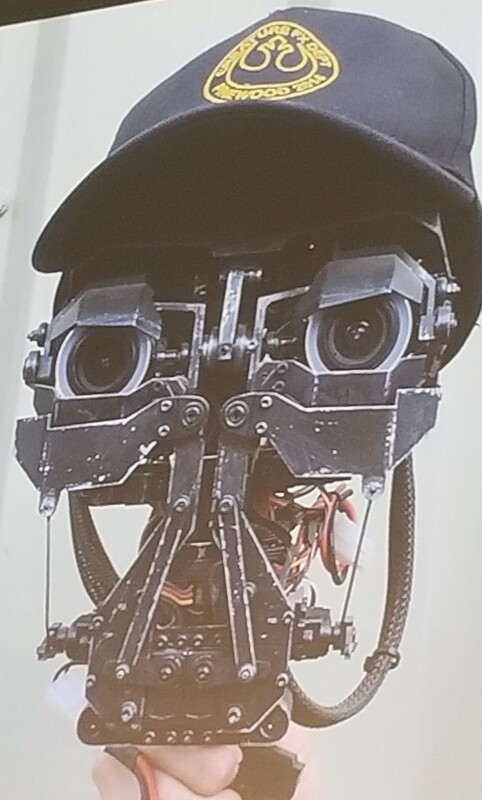 An early idea for K2-SO using the kinetic technology they would later use in Solo. 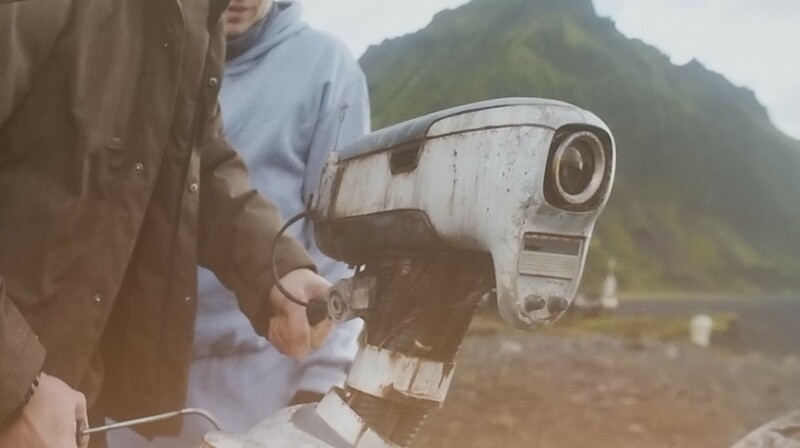 Farm droid from Rogue One. David Collins wearing the arm extensions which could be fully articulated with your own hand gestures. What they’re currently using is remote motion controlled software which allows any motion you make to be mimicked by animatronic creature. This way there is not cumbersome controls you have to manipulate just right and now one needs to be in the suit. It allows for natural, life like movements that can be capture with mocap. It was a nice little tease that they put in the end of the panel and hinted was being used in the new stuff. From there I went to one of the many publishing panels they had spread out through four of the five days of the convention. 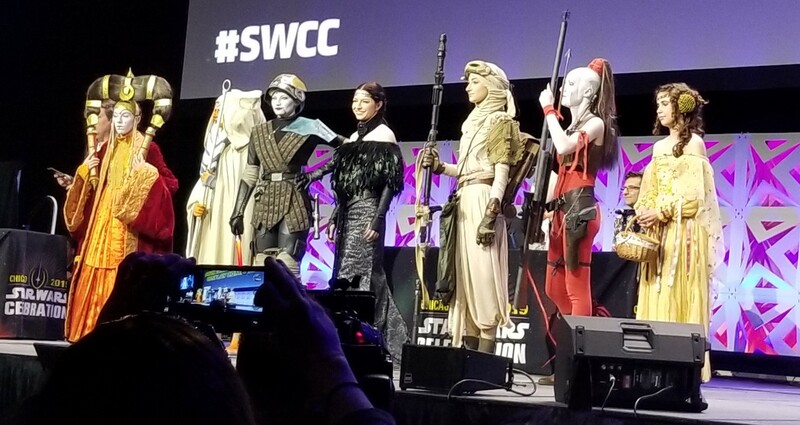 The publishing panel on Saturday focused on the authors’ current upcoming projects that had already been announced, so there was no new reveals. However, we did get to hear the authors talk about their projects and hint at the things we would see in them. Afterwards I went to the cosplay competition panel. I’ve always wanted to go to this as they do it ever year, but typically I end up having to do something else. Well this year I made it, and I’m glad I did. There was some really good cosplayers at the panel and I was able to get pictures of all of them. They break the outfits down into several categories, like thread and needlework, armor, mashups, or the kid category. There are winners for each group, and then they pick an overall winner. 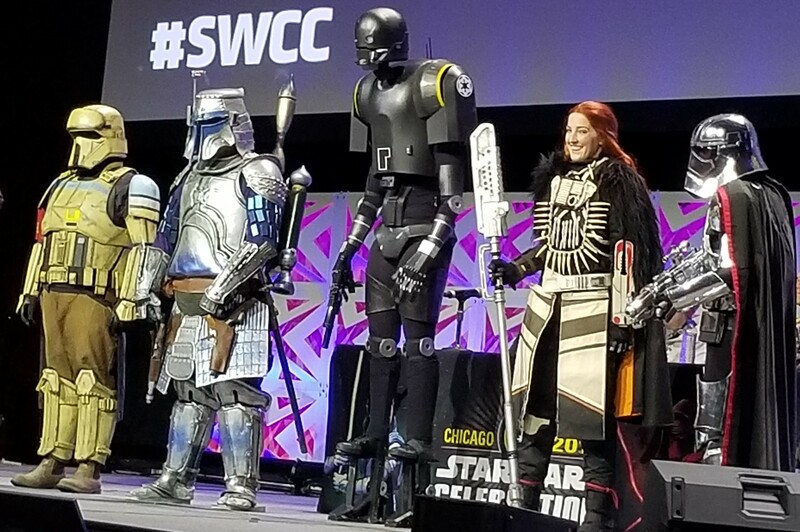 This year the winner was the yellow loadlifter droid which was an awesome costume. 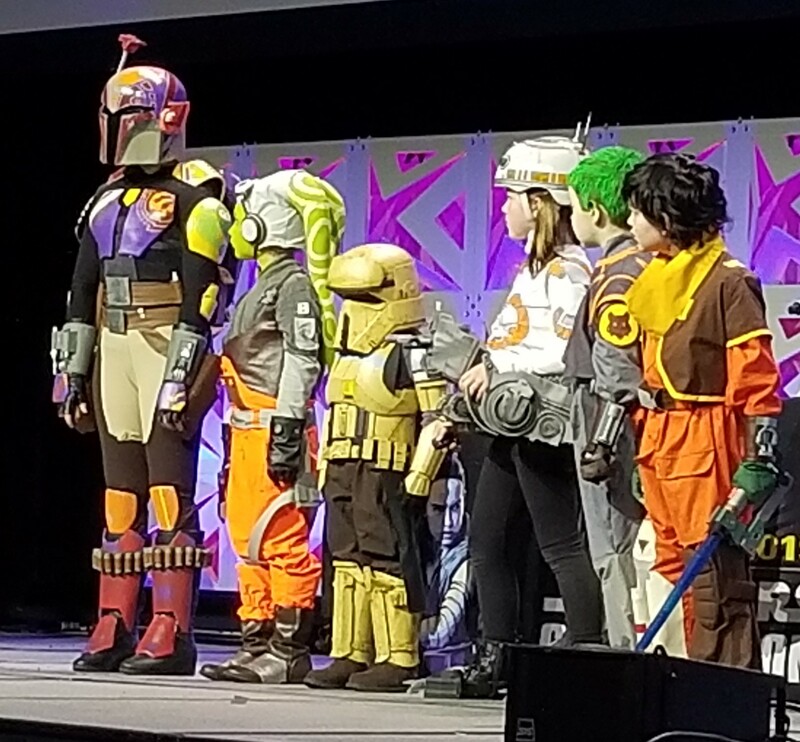 To wrap up the day, I went to the Fangirls Going Rogue panel, which was fun, and the big podcast meetup that Starships, Sabers, and Scoundrels and Coffee With Kenobi organized at the Ark Bar. Lots of people showed up, though I think I was the only one drinking Blue Russians. It was a good way to end the day.